Here the large center stone was her center engagement ring diamond with two small additional diamonds set beneath it from her original mother's ring. 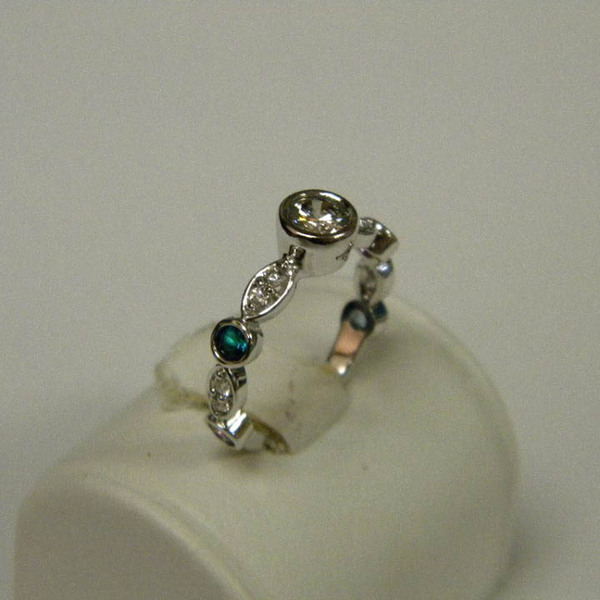 With the addition of new stones for her children, she now has one ring with everyone that means the most to her! What an incredible lady, by the way!